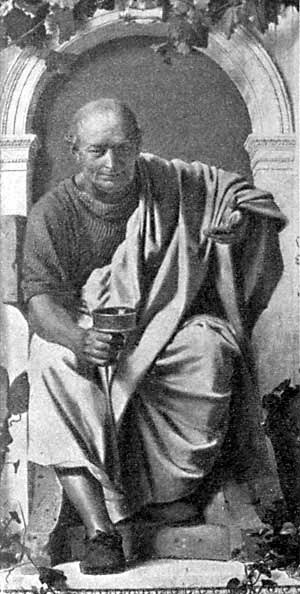 The Latin poet Horace said that the Britons were hostile towards strangers (Britannos hospitibus feros, Ode 3.4). Yesterday, reeling like everyone else from the appalling murder of Labour MP, and true friend of all immigrants, Jo Cox, I had to intervene on a bus between Oxford and London because the yobbish white driver was being so hostile to a foreign lady. She only had one of the new £20 notes, for a £14 fare. Neither she nor anyone else could see whether his problem was with the unfamiliarity of the note or her lack of the right change. He accused her, loudly, of wasting his time and being too stupid to understand English. At this point a male passenger shouted at him, legitimately enough, ‘What sort of impression of our country do you think you are making on this lady?’ A brawl was imminent. I got up and paid for the lady with my multi-use ten-journey card. She thanked me politely. We set off. Like ‘homophobia’ as a euphemism for lethal hatred of gay people, the word xenophobia is not enough to describe that bus driver. It means fear of strangers. We need a word meaning hatred of strangers, which would be misoxeny, a word my twitter friend Graham Guest points out to me was in use in the 17th century. John Josselyn said that ‘the old Brittains’ were notable for their ‘misoxenie or hatred to strangers.’ Cartographer John Speed wrote, presciently, that misoxenie was unalterably inherent in the ‘common humour’ of our ‘Nation’. 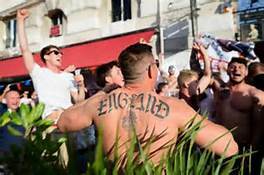 Watching my compatriots slugging it out in Marseille with the equally misoxenic Russian football ‘fans’ last week was excruciatingly embarrassing. I yelled at the TV that they were betraying the spirit of Marseille, founded as Massalia by Greek vintners in about 600 BCE. A French princess named Gyptis fell in love with a Protis, a handsome Greek. 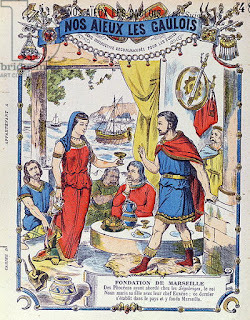 The Gauls had welcomed him to a feast. She chose the migrant as her husband rather than any of her Gallic suitors. The incident with the bus driver made me feel even worse than the Marseille football shambles. How I’m going to feel next Friday morning if misoxeny prevails, and we Britons hospitibus feri decide to turn our backs on the rest of Europe, does not bear thinking about. 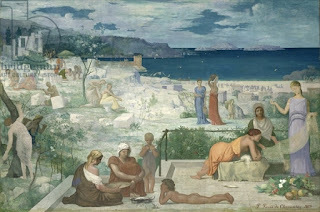 If I don’t blog next weekend it will be because I have fled the country altogether, perhaps to Marseilles, portrayed here as an idyllic hybrid ancient community by Pierre Puvis de Chavannes.